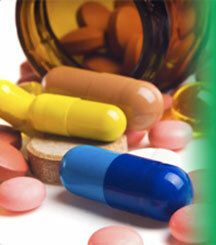 CDPHP members can enjoy the savings benefits of Rx for Less for many generic drugs. Now, there are even more ways to save on prescription medications. Rx for Less is a program for all CDPHP members with a prescription drug rider, offering deep discounts on a specific list of drugs when purchased at Price Chopper, CVS, Walmart, Hannaford, or ShopRite. Many generic prescription drugs are available for as little as $1, beating the price of many other drug club programs by 90 percent. There’s no sign-up process or registration fee. Simply present your CDPHP ID card when purchasing your prescription. It’s that simple. Now CDPHP Medicare members can enjoy the savings, too! Please note: Rx for Less pricing is not available for prescriptions purchased through the mail-order service.